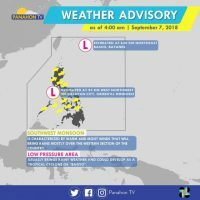 As of 3 a.m. today, the Low Pressure Area inside the Philippine Area of Responsibility (PAR) was spotted at 620 kilometers (km) northeast of Basco, Batanes. According to PAGASA Weather Forecaster Meno Mendoza, this weather disturbance is expected to exit PAR anytime today. 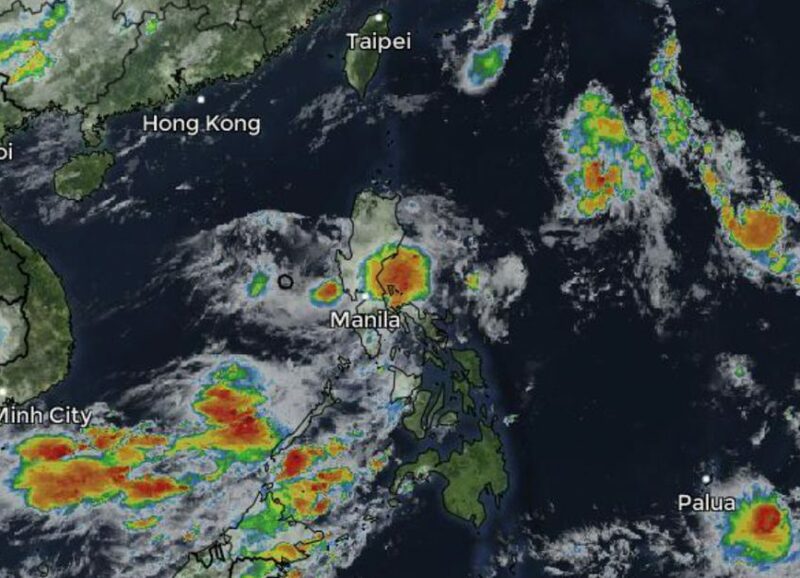 The other LPA at 95 km west northwest of Calapan City, Oriental Mindoro may develop into a Tropical depression within 2 to 3 days, and will bring rains in Luzon over the weekend. 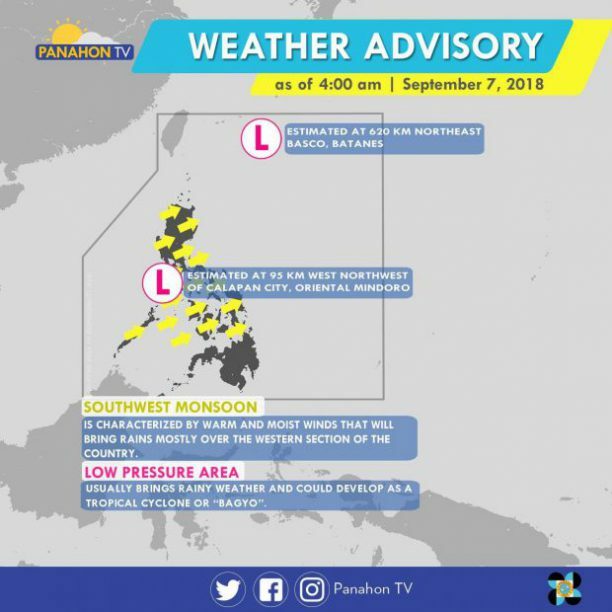 As the Habagat continues to affect Luzon and Visayas, these following areas will have cloudy skies with scattered rains and thunderstorms: Metro Manila, and the rest of Luzon and Western Visayas. 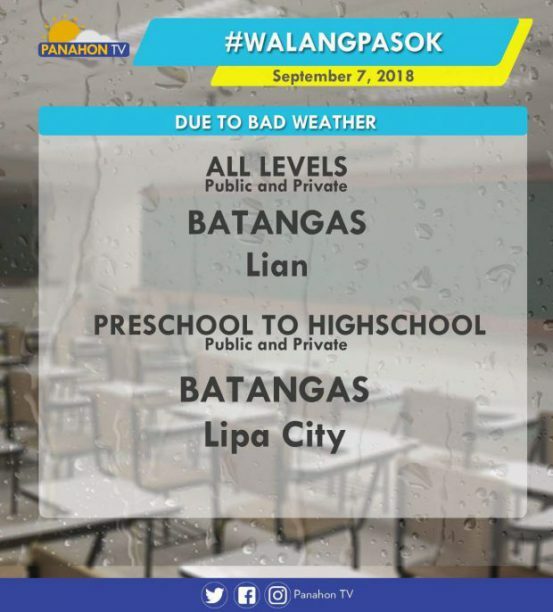 In the rest of the country, partly cloudy to cloudy skies prevail, only with isolated rain showers. 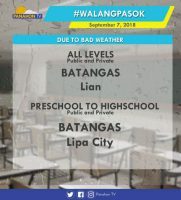 Meanwhile, due to the anticipated bad weather, classes in different parts of Batangas were suspended today.